The validity of the ATHOS T/H computer model* for San Onofre Unit 2 at Main Steam Line Break (MSLB) conditions requires that the Nuclear Regulatory Commission (NRC) Office of Nuclear Reactor Regulations (NRR) complete a Qualifying Investigation to assure steam generator tube integrity before any restart decision is made by the NRC. The DAB Safety Team has transmitted the following Problem Statement and Investigation Request to the Chairman of the NRC, Offices Of Nuclear Regulator Regulations and Atomic Safety Licensing Board. NOTE: All the information provided below has been obtained from publicly available documents on the web. PROBLEM STATEMENT: The EPRI, NRC, Westinghouse, AREVA and MHI ATHOS thermal-hydraulic models cannot account for all the mechanical factors and extremely narrow tube-to-tube clearance differences, which would very likely contribute to catastrophic tube-to-tube wear (fluid elastic instability) in San Onofre Unit 2. In light of the 8 tube failures of Unit 3 at MSLB testing conditions, fluid elastic instability can cause cascading tube leakages/ruptures in Unit 2 even at 70% power due to SG pressure and temperature changes caused by, for example, a main steam line break, earthquake, loss of offsite power, stuck main steam safety valve and/or other operational transients. 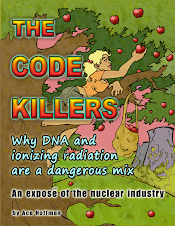 The cascading tube failures would "pop like popcorn" (as described by SG expert Arnie Gundersen) and cause excessive offsite radiation exposures. Operator Action as claimed by Edison to re-pressurize the steam generators is not feasible to stop a major nuclear accident in Unit 2 in progress in the first 15 minutes of a MSLB, stuck open SG safety valve, earthquake, steam generator tube ruptures and other operational transients during the 5-month trial period. INVESTIGATION REQUEST: The DAB Safety Team seeks to assist the NRR in making the right decision regarding Public Safety by requesting a Qualifying Investigation, as noted above and by providing additional information, as noted below. * For much more, read DAB Safety Team Documents, "Media Alert 13-01-22 Faulty Modeling And Unreasonable Operator Actions Make San Onofre Restart Unsafe", "Emergency Preparedness at San Onofre", "Managing Control Room Safety" and Press Release: "TEST: Viability of Operator Actions to Prevent Offsite Radiation Releases." An unanticipated operational transient means a deviation from normal operational conditions, which is not proceduralized and Plant Operator does not recognize that condition. A good example are the so called SONGS Unit 3 false alarm from loose parts vibration monitoring system for which there is no explanation from SCE, NRC or Westinghouse. Another example would be a leakage from a pump pumping radioactive fluid without any area radiation monitors to warn the operators of the leakage. Normal operational conditions mean that the nuclear power plant is operated according to the Technical Specifications and operational procedures. These also include tests, plant start-up and shutdown, maintenance and refuelling. An anticipated operational transient means a deviation from normal operational conditions, which is milder than an accident and which can be expected to occur once or several times over a period of a hundred operating years. An accident means such a deviation from normal operational conditions as is not an anticipated operational transient. There are two classes of accident: postulated accidents and severe accidents. Based on the initiating event, postulated accidents are further divided into two sub-classes whose acceptance criteria are described in Guide YVL 6.2. A postulated accident means such a nuclear power plant safety system design-basis event as the nuclear power plant is required to withstand without any serious damage to the fuel and without discharges of radioactive substances so large that, in the plant's vicinity, extensive measures should be taken to limit the radiation exposure of the population. Copyright January 22, 2013 by The DAB Safety Team. All rights reserved. This material may not be published, broadcast or redistributed without crediting the DAB Safety Team. The contents cannot be altered without the Written Permission of the DAB Safety Team Leader and/or the DAB Safety Team's Attorneys.